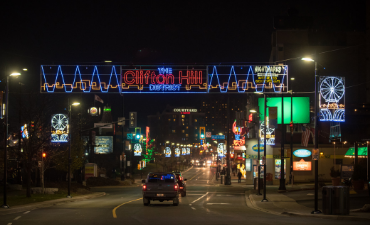 There are two illuminated banner signs that cross over the street as you enter the Clifton Hill District. There is one banner located at the intersection of Victoria Avenue and Bender Street. The second banner is located at Ferry Street and Buchanan Avenue.